Description Almond, a renewable resource, and one of our more popular woods for heating purposes. This wood is usually dark in color and seasoned for nine months. It produces about 20% more heat per cord than Oak, making it an exceptional value. It burns clean for an easy clean-up. 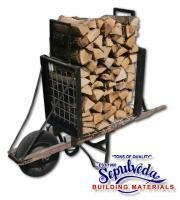 Buy Firewood from our online store! Application & Use Keeps the fire going at a higher temperature -- 32.9 BTUs. 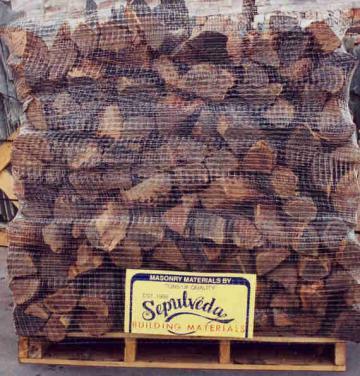 Buy Firewood from our online store! Size: 16" & 22"-24" lengths - available in Full, 1/2 cords: 16" available in 1/3 cord as well. Average Coverage: 16" length is good size for metal fireboxes, while 22" wood is a better size for real masonry fireplaces.